Recent scholarship has increasingly focused upon the importance of collective memory in the shaping of modern (and ancient) identities. This advanced seminar will investigate the function of history and memory in the modern Middle East, looking at its interaction with various tensions: religion/secularism (Turkey and Iran), Arab nationalism/particularism (Iraq, Egypt, and Lebanon), and diaspora/nationhood (Israel and the Palestinians). Students will develop a better understanding of how individuals and states have remembered, shaped, and fabricated memories and histories to promote various agendæ, while uncovering trends and similarities that underline their actions and their goals. This course concludes by analysing contemporary developments and discussing collective memory as it applies to the Middle East in the coming decades. As an advanced seminar, this course demands a high level of individual participation, inside and outside the classroom. Each student will have the opportunity to lead a classroom discussion revolving around the assigned readings. In addition, each week’s topic (covering two classes) will require a considerable amount of reading (150 to 200 pages). Students will be evaluated on the basis of three factors: (1) participation (35%), (2) seminar presentation (25%), and (3) a final research paper (40%). Given the importance of discussion, students are expected to have read the assigned reading in advance of each class. Recommended readings are not required, but are offered for those seeking further depth, as a starting point for research papers, and as a highly-encouraged resource for those presenting. At the end of this course, it is hoped that students will have not only a better understanding of the discourse of history and memory in general and in the contemporary Middle East, but have developed better research skills, practiced critical thinking, and gained experience collecting and presenting information clearly. Benedict R O’Gorman Anderson, Imagined communities: Reflections on the origin and spread of nationalism (London & New York City: Verso, 1991), 1-7, 37-46, 187-206. Amos Funkenstein, ‘Collective memory and historical consciousness’, History & Memory 1.1 (Spring–Summer 1989), 5-26. Erich J Hobsbawm, ‘The Social function of the past: Some questions’, Past and Present 55 (May 1972), 3-17. Bernard Lewis, History: Remembered, recovered, invented (New York City: Simon & Schuster, 1987), 3-102. Nathan Wachtel, ‘Memory and history’, History and Anthropology 2.2 (October 1986), 207-224. İlker Aytürk, ‘Turkish linguists against the West: The Origins of linguistic nationalism in Atatürk’s Turkey’, Middle Eastern Studies 40.6 (November 2004), 1-25. Şerif Arif Mardin, ‘Religion and secularism in Turkey’, in The Modern Middle East: A Reader, ed. Albert Habib Hourani, Philip Shukry Khoury and Mary C Wilson (London & New York City: I B Tauris, 2004), 347-374. Hugh Poulton, Top hat, grey wolf and crescent: Turkish nationalism and the Turkish Republic (New York City: New York University Press, 1997), 87-206, 315-322. Bernard Lewis, ‘History-writing and national revival in Turkey’, Middle Eastern Affairs 4.6–7 (June–July 1953), 218-227. Haggai Ram, Myth and mobilization in revolutionary Iran: The Use of the Friday congregational sermon (Washington, DC: American University Press, 1994), 159-227. Haggai Ram, ‘The Immemorial Iranian nation? School textbooks and historical memory in post-revolutionary Iran’, Nations and Nationalism 6.1 (January 2000), 67-90. Mostafa Vaziri, Iran as imagined nation: The Construction of national identity (New York City: Paragon House, 1993), 99-218. Kamyar Abdi, ‘Nationalism, politics, and the development of archæology in Iran’, American Journal of Archæology 105.1 (January 2001), 51-76. Mangol Bayat-Philipp, ‘A Phoenix too frequent: The Concept of historical continuity in modern Iranian thought’, Asian and African Studies 12.2 (July 1978), 203-220. Mohamad Tavakoli-Targhi, ‘Contested memories of pre-Islamic Iran’, Medieval History Journal 2.2 (October 1999), 245-275. Mohamad Tavakoli-Targhi, ‘Historiography and crafting Iranian national identity’, in Iran in the Twentieth Century: Historiography and political culture, ed. Touraj Atabaki (London: I B Tauris, 2009), 5-21. Kamyar Abdi, ‘From pan-Arabism to Saddam Hussein’s cult of personality: Ancient Mesopotamia and Iraqi national ideology’, Journal of Social Archaeology 8.1 (February 2008), 3-36. Amatzia Baram, Culture, history, and ideology in the formation of Baʿthist Iraq, 1968–89 (New York City: St Martin’s Press, 1991). 97-116. Eric M Davis, Memories of state: Politics, history, and collective identity in modern Iraq (Berkeley: University of California Press, 2005), 1-28, 148-199. Kanan Makiya, The Monument: Art, vulgarity, and responsibility in Iraq (Berkeley: University of California Press, 1991), 1-18. Amatzia Baram, ‘Mespotamian identity in Baʿthi Iraq’, Middle Eastern Studies 19.4 (October 1983), 426-455. Fouad Ajami, The Dream palace of the Arabs: A Generation’s odyssey (New York City: Vintage Books, 1999), 193-252. Israel Gershoni, ‘Imagining and reimagining the past: The Use of history by Egyptian nationalist writers, 1919–1952’, History & Memory 4.2 (Fall–Winter 1992), 5-37. Emmanuel Sivan, ‘The Arab nation-state: In search of a usable past’, Middle East Review 19.3 (Spring 1987), 21-30. Fouad Ajami, The Arab predicament: Arab political thought and practice since 1967 (Cambridge & New York City: Cambridge University Press, 1992), 89-167. Raphael Israeli, ‘Sadat between Arabism and Africanism’, Middle East Review 11.3 (Spring 1979), 39-48. Franck Salameh, Language, memory, and identity in the Middle East: The Case for Lebanon (Lanham: Lexington Books, 2010), 41-112. Kamal S Salibi, A House of many mansions: The History of Lebanon reconsidered (Berkeley: University of California Press, 1988), 167-181, 200-234. Asher Kaufman, Reviving Phoenicia: The Search for identity in Lebanon (London: I B Tauris, 2004), 141-194, 230-250. Kamal S Salibi, ‘The Lebanese identity’, Journal of Contemporary History 6.1 (1971), 76-81, 83-86. Fouad Ajami, The Dream palace of the Arabs: A Generation’s odyssey (New York City: Vintage Books, 1999), 111-192. R Stephen Humphreys, Between memory and desire: The Middle East in a troubled age (Berkeley: University of California Press, 1999), 60-82. Kanan Makiya, Cruelty and silence: War, tyranny, uprising, and the Arab World (New York City & London: W W Norton, 1994), 253-283. Bassam Tibi, Arab nationalism: Between Islam and the nation-state, transl. from Arabic by Marion Sluglett and Peter Sluglett (New York City: St Martin’s Press, 1997), 201-233. George Antonius, The Arab awakening: The Story of the Arab national movement (New York City: Capricorn Books, 1965), 79-125. Daniel Gutwein, ‘Left and right post-Zionism and the privatization of Israeli collective memory’, Journal of Israeli History 20.2–3 (Summer 2001), 9-42. Eliezer Don-Yehiya, ‘The Negation of galut in religious Zionism’, Modern Judaism 12.2 (May 1992), 129-155. Charles S Liebman and Eliezer Don-Yehiya, Civil religion in Israel: Traditional Judaism and political culture in the Jewish state (Berkeley: University of California Press, 1983), 1-24, 123-166. Uri Ram, ‘Zionist historiography and the invention of modern Jewish nationhood: The Case of Ben Zion Dinur’, History & Memory 7.1 (Spring–Summer 1995), 91-124. Yael Zerubavel, Recovered roots: Collective memory and the making of Israeli national tradition (Chicago & London: University of Chicago Press, 1995), 3-76. Oz Almog, The Sabra: The Creation of the new Jew, transl. from Hebrew by Haim Watzman (Berkeley & Los Angeles & London: University of California Press, 2000) 73-137. Nachman Ben-Yehuda, The Masada myth: Collective memory and mythmaking in Israel (Madison: University of Wisconsin Press, 1995), 228-258. Michael Feige, ‘Identity, ritual, and pilgrimage: The Meetings of the Israeli Exploration Society’, in Divergent Jewish cultures: Israel and America, ed. Deborah D Moore and Selwyn Ilan Troen (New Haven: Yale University Press, 2001), 87-106. Alex Weingrod, ‘How Israeli culture was constructed: Memory, history and the Israeli past’, review of Maoz Azaryahu, State cults: Celebrating independence and commemorating the fallen in Israel, 1948–1956 (Sde Boqer: Ben-Gurion University of the Negev Press, 1995); Nachman Ben-Yehuda, The Masada myth (Madison: University of Wisconsin Press, 1995); and Yael Zerubavel, Recovered roots (Chicago: University of Chicago Press, 1995), Israel Studies 2.1 (Spring 1997), 228-237. Raphael Israeli, ‘State and religion in the emerging Palestinian entity’, Journal of Church & State 44.2 (Spring 2002), 229-248. Rashid I Khalidi, Palestinian identity: The Construction of modern national consciousness (New York City: Columbia University Press, 2010), 145-209. 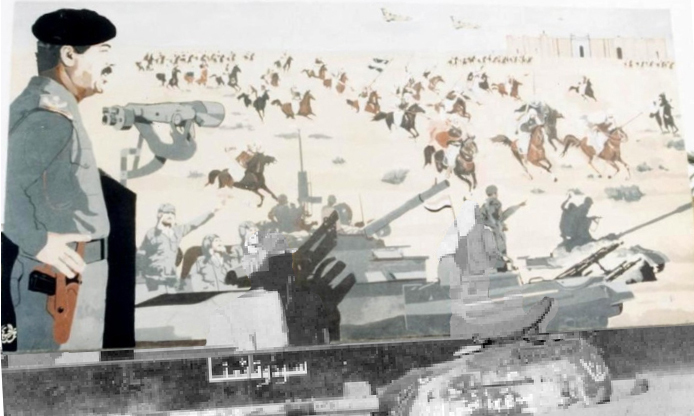 Ahmad H Saʾdi, ‘Catastrophe, memory and identity: al-Nakbah as a component of Palestinian identity’, Israel Studies 7.2 (Summer 2002), 175-198. Ted Swedenburg, ‘Popular memory and the Palestinian national past’, in Golden ages, dark ages: Imagining the past in anthropology and history, ed. Jay O’Brien and William Roseberry (Berkeley & Los Angeles & Oxford: University of California Press, 1991), 152-179. Meir Litvak, ed., Palestinian collective memory and national identity, 1st ed. (New York City: Palgrave Macmillan, 2009), . Fred Halliday, ‘The Middle East and the nationalism debate’, in Nation and religion in the Middle East (London: Saqi Books, 2000), 31-54. Martin O Heisler, ‘Challenged histories and collective self-concepts: Politics in history, memory, and time’, Annals of the American Academy of Political and Social Science 617 (May 2008), 199-211. R Stephen Humphreys, ‘Modern Arab historians and the challenge of the Islamic past’, Middle Eastern Lectures 1 (1995): 119-131. Nancy Partner, ‘The Linguistic turn along post-postmodern borders: Israeli/Palestinian narrative conflict’, New Literary History 39.4 (Autumn 2008), 823-845. Jay Winter, ‘Historical remembrance in the Twenty-First Century’, Annals of the American Academy of Political and Social Science 617 (May 2008), 6-13.